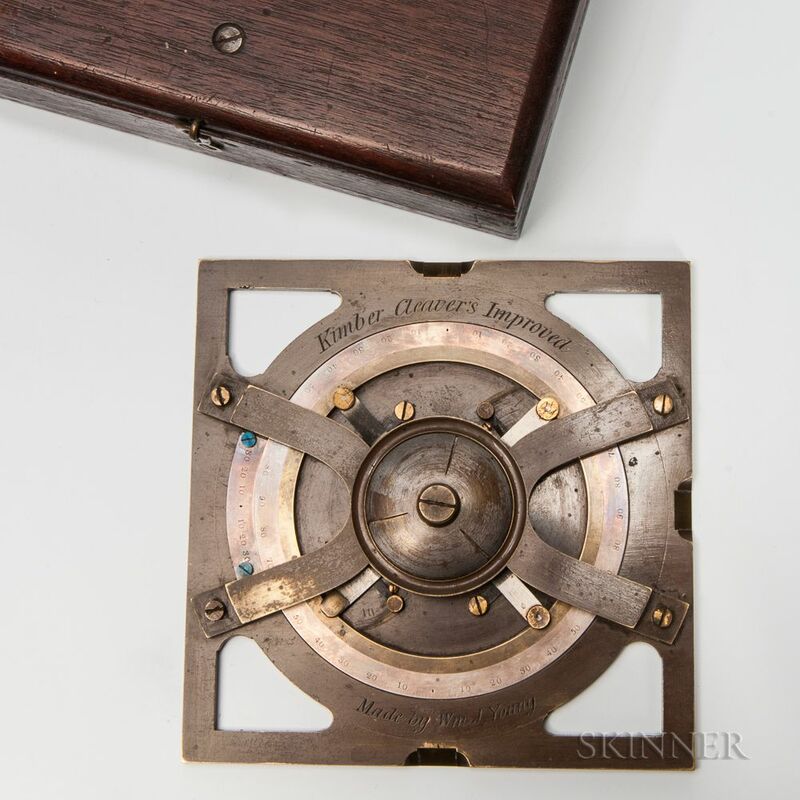 Kimber Cleaver's Improved Protractor, made by William J. Young, Philadelphia, 5 1/4-in. 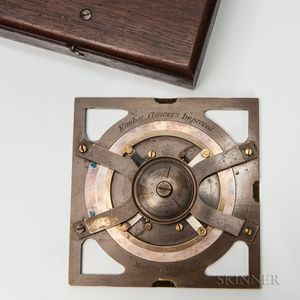 lacquered brass instrument engraved as above, X-frame with circular central knob that rotates the engraved silvered scale that is divided in four quadrants and outer vernier marked 30-0-30, and housed in its original fitted mahogany box.